The debates over the impact of the midterm election results began as soon as the winners were projected and as the results were finalized in the weeks following. Locally, Maui elected a new Mayor and provided six new members to the County Council (and in the Primary election, Mauians picked new State Representatives for South Maui and Wailuku). The County of Maui results perhaps surprised some people with mixed results for #Huli2018 candidates and establishment candidates. Voters elected former Council member and Board of Education member Mike Victorino, 27,057–22,078. Victorino led West Maui Councilwoman Elle Cochran from the first printout of the absentee mail and walk-in ballots, 13,381–8,660. The 2018 election further confirmed the split between voters in 2014 who supported County regulation of agricultural pesticides and those associated with more establishment, status quo concerns. In some recent elections, establishment candidates have taken leads from the early printouts, reflecting mainly ballots cast by absentee mail or absentee walk-in and then watched as Election Day ballots eroded those leads. The same pattern followed this year. By the second print-out, counting votes from ten of the thirty-four Maui County precincts, Victorino had expanded his lead, 17,859–11,907. In the third report, Victorino’s lead was still 26,227-20,956. Victorino would capture all eleven of the Central Maui precincts, five of the six Upcountry precincts and Lāna‘i and Molokai. Victorino won twenty-two of the thirty-four precincts in beating Cochran. Cochran won four of the five West Maui precincts and three of the four South Maui precincts but could not close the gap built by Victorino from the early voting. Kaua‘i and Maui remain the only Counties where all registered voters can vote for each member of the County Council. While all Kaua‘i Council members serve at large, Maui’s Charter requires each of the nine members to live in one of nine geographic communities, maintaining representation for smaller rural areas. In the past, many voters chose to not vote in the races for seats outside of their particular community. This year, a group of council candidates, along with Mayoral candidate Elle Cochran ran as a slate and urged voters to #VoteAllNine. The Council races marked an electoral milestone as women candidates won six seats on the nine-member County Council: incumbent Kelly King (South Maui), incumbent Yuki Lei Sugimura (Upcountry), former Council member Alice Lee (Wailuku), Tamara Paltin (West Maui), Natasha Kama (Kahului) and Keani Rawlins-Fernandez (Molokai). Four of the women were also part of the #VoteAllNine Coalition which included Hāna winner Shane Sinenci. For the first time in almost twenty years, the County Building will not have Alan Arakawa’s presence. Voters rejected three-time Maui Mayor Arakawa’s attempt to stay in office by re-taking his old Kahului Council seat in favor of Kama, a minister and Faith Action for Community Equity (F.A.C.E.) advocate. Kama previously did not prevail in races for the State House and Wailuku Council seat. Kama trounced Arakawa, 28,454–17,580, winning every precinct. Kama led from the start, 12,562–8,157, foretelling a disappointing night for Arakawa. In the second printout, her total increased 16,796–11,127, and then, in the third report, 27,191–17,013. Maui voters treated two other former Council members more kindly. Mike Molina will return to the Ha‘ikū seat given up by Council Chair Mike White and Lee, former Council member and housing department head, took the Wailuku post held by Pino-Waiian Alika Atay, 23,656–21,225. While Atay held the Wailuku seat, voters in that district favored Lee 5,484–3,761. Similarly, Kahului voters provided Atay little Mabuhay, giving Lee a 4,017–2,228 margin. Atay captured South Maui, West Maui and parts of Ha‘ikū-East Maui but could not overcome the margins built by Lee in winning twenty of the thirty-four precincts. Lee also won Upcountry 5,101–4,428 which she represented on the Council in the 1990s. Atay’s sole term on the Council had been nagged by controversies involving one of his Council aides and campaign spending allegations. Lee led from the first printout, 12,012–8,338. She expanded the gap in the next report, 15,797–11,556. Lee kept her lead in the third report, 22,917–20,180, with thirty-three of the thirty-four precincts reporting. Molina followed a similar route as Lee, capturing the Central Maui precincts and getting enough votes in the rest of the County to beat back Furtado, 24,170–20,412. The amiable former teacher led after the initial report, 11,819–8,425 and held on his lead in the third report, 23,399–19,423. Molina and Sinenci were the only men who prevailed against their women opponents. Paltin, former Mayoral candidate and County lifeguard, crushed Pinoy candidate Rick Nava for the West Maui seat, 38,368-14,534. Sugimura will remain as the Upcountry member by handily beating educator Hannibal Starbuck, 27,250–17,218. Longest tenured member Riki Hokama kept his council seat, surviving a strong challenge from Lāna‘i resident Gabe Johnson in a rematch of their 2016 election, 22,414–20,433. 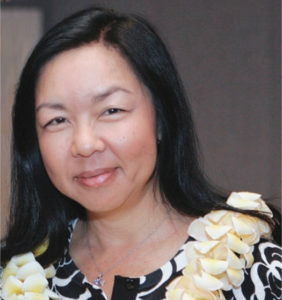 Hokama took the eleven Central Maui precincts 9,466–5,131. Johnson won South Maui 3,670–2,729, West Maui 2,883–2,354, Upcountry 4,574–4,474 but could not overcome the early margin built by Hokama from early voting and Wailuku and Kahului. Johnson also captured the East Maui-Molokai-Lāna‘i communities, 4,150–3,447 including Lāna‘i narrowly, 407–390. King easily won a second term as the Kīhei Council member, taking thirty-four of the thirty-four precincts. King led all council candidates in the number of votes received, smashing Zandra Crouse: 30,855–11,979. The Molokai race may have settled the balance of power between expected old guard Council members and the #Huli2018 group as Rawlins-Fernandez won the rematch with Council member Crivello. While Crivello narrowly led after the early voting, 10,206–9,106, and the second report, Rawlins-Fernandez overtook her in the 9:38 p.m. printout, 20,988–19,931. With only one precinct left to report, Crivello could not make up the difference. Election Day ballots powered the challenger to a comfortable victory. In the second printout at 8:08 pm, Crivello’s lead narrowed 13,567–12,500. Rawlins-Fernandez touted her law degree and MBA as important points, noting no other Council candidate held either credential. Crivello was Molokai’s choice but the sixteen precincts throughout the County won by Rawlins-Fernandez—including South Maui 3,687–2,688, and Upcountry 4,871–4,117—provided Rawlins-Fernandez with a 22,049–20,583 victory. The Ha‘ikū precinct alone provided a 2,287–1,015 gap. The election again displayed the ideological gaps between the working class-union urban neighborhoods of Central Maui and on Lāna‘i with the South Maui, West Maui and the more rural communities. The eleven precincts in House Districts 8 and 9, with a total turnout of 16,507 voters, generally favored the old guard candidates: Victorino, Lee, Crivello, Hokama, Molina and Sugimura. However, the Wailuku precincts favored Kama and Sinenci while three of the four Kahului precincts voted for Arakawa and Carroll. South Maui (District 11: turnout 8,108), East Maui (District 13: turnout 8,789) and West Maui (District 10: turnout 6,529) voted #Huli2018. Molokai and Lāna‘i precincts generally supported establishment candidates, although Lāna‘i narrowly favored Johnson, and both islands favored Kama. The Upcountry precincts (District 12: turnout 10,546) generally supported the slate of challengers but favored their former council member Lee, the likeable Molina and their current council member Sugimura. The large Ha‘ikū precinct (13–02), with 2,053 of 7,203 registered voters casting ballots on the Election Day, provided heavy support for the #VoteAllNine slate: Cochran (1,444), Sinenci (1,356), Paltin (1,439), Atay (1,324), Kama (1,476), King (1,491), Furtado (1,394), Starbuck (1,245), Johnson (1,209) and Rawlins-Fernandez (1,292). In contrast, Lahaina Civic Center (10–05), with an Election Day turnout of 1,427 voters, provided less overwhelming support for the #Huli2018 slate: Cochran (802), Atay (608), Rawlins-Fernandez (573), Johnson (631), Sinenci (619), Furtado (644), Kama (792), Starbuck (508), Paltin (911) and King (833). All districts supported Sugimura, Paltin and King over their opponents. Governor David Ige with his running mate Josh Green easily won reelection statewide over their Republican challengers Andrea Tupola and Marisa Kerns, 244,814–131,604. The Democrat ticket of Ige-Green won every precinct in Maui County, 32,059 (64.5%)–14,625 (29.4%). The Green and Nonpartisan tickets garnered 6.1% of the Maui votes. Unlike the U.S. Congress, where every State regardless of population is guaranteed two U.S. Senators (so small population States like Hawai‘i, Alaska and Wyoming have as much clout as New York, Texas and California), Hawai‘i allocates State Senate seats by population. Locally, continued Democratic control of both chambers of the legislature was never in doubt, with most seats already decided in the August Democratic Party Primary. Only three legislative races continued to the General Election (West Maui House, West Maui/South Maui Senate and East Maui-Molokai-Lāna‘i House). Roz Baker (South and West Maui) and J. Kalani English (Lāna‘i-Molokai-East Maui) will return to the State Senate while Lynn DeCoite (East Maui-Molokai-Lāna‘i) and Angus McKelvey (West Maui) won reelection to the House. Baker easily defeated Green Party candidate Melissah Shishido, 8,911–4,337. McKelvey, with 3,673 votes, defeated two opponents, Republican Chazen Marten (1,318) and Green Party Jen Mather (1,137). DeCoite won another term by turning back perennial Green Party standard-bearer Nick Nikhilananda, 5,787–2,296. The Maui House delegation will also include veterans Kyle Yamashita (Upcountry) and Justin Woodson (Kahului). Newcomers will be Troy Hashimoto (Wailuku), who was appointed to replace former House Speaker Joe Souki at the end of last session, and Tina Wildberger (South Maui). In short, Maui voters kept the all-Democrat delegation intact for the session that begins in January. The State Senate did lose two Filipino legislators—Will Espero who resigned midterm for his unsuccessful run for Lt. Governor and Brickwood Galuteria who lost a reelection bid in the Democratic Primary. Returning Filipinos are Donna Mercado-Kim, Lorraine Inouye, Donovan Dela Cruz, and Gilbert Keith-Agaran. In the House, Rida Cabanilla successfully won her old seat and will join Filipinos Ty Cullen, Henry Aquino, Della Au-Belatti, Joy San Buenaventura and Romy Cachola, who all won reelection. The Republicans did reduce the Democratic Majority to twenty-four in the twenty-five member State Senate and maintained five seats in the fifty-one member House. Ever since the 2016 Presidential election, the current President’s panoply of critics has pointed to 2018 as an important milestone in national repentance. The polls, for the most part, foretold change in favor of the opposition party. But the voters (especially rural voters in Missouri, North Dakota and Indiana) spoke otherwise with regard to the U.S. Senate. Re-taking the Senate was always a tall-order given the number of seats the Democrats were defending but Democrats were very optimistic about forging a majority in the House. Hawai‘i’s delegation remained Blue. Outspoken Mazie Hirono won another term in the U.S. Senate while nationally ambitious Tulsi Gabbard returns for another term. Hirono, who made a national mark as a member of the Judiciary Committee hearings on Judge Brett Kavanaugh’s nomination to the U.S. Supreme Court, easily defeated Republican Ron Curtis, 276,133-111,977. Maui County favored Hirono, 37,628 (76.8%)–11,347 (23.2%). Gabbard easily bested GOP Brian Evans, 153,132–44,816, with Maui County totals of 39,775 (82.1%)–8,685 (17.9%). Former U.S. Rep. Ed Case moves to the Urban Honolulu seat that Colleen Hanabusa vacated, keeping the all-Democrat Hawai‘i delegation intact. While Election Night results suggested a modest majority, as counting continued, Democrats ended up gaining more seats than any midterm since the post-Watergate election. Nationally, Democrats also posted gains in Governorships and State legislative chambers. Democrats added seven governorships, recouping some of the losses sustained in 2010 and 2014 and picked up hundreds of state legislative seats. For Maui County, 96,721 were registered to vote. The total voters were 48,461 or 50.1%. Of that amount, 22,638 voted at the polls (23.4%) while 25,823 voted via absentee (26.7%). A comparison of four years ago (versus a comparison of two years ago which included a presidential race) shows an increase of 9,394 of total registered voters (from 87,327 to 96,721) or 10.75%. The total number of voters increased from 46,005 to 48,461 (2,456) or 5.3%. Those who voted at the polls (24,578 in 2014) decreased by 1,485 or 6% while those who voted via absentee (21,427 in 2014) increased by 5,955 or 27.79%. Statewide, the total registration of voters was 756,751, with 52.7% or 398,657 voting. Of that amount, 23.1% or 175,120 voted at the polls versus 29.5% or 223,537 voting via absentee. Four years ago, the total Statewide registration of voters was 706,890, with 52.3% or 369,642 voting. Of that amount, 25.5% or 180,535 voted at the polls versus 26.6% or 189,107 voting via absentee. Voters continue to leave certain races and ballot questions blank. Blank votes may reflect “None of the above” or “Don’t know enough” or, while all Maui County residents can vote in all Council contests, a choice to not weigh in on representatives for other communities. Regardless, in close races, blank votes play a role. On Maui, the largest number of blank votes was for the Office of Hawaiian Affairs At-Large Trustees, with 73,535. Another 18,807 voters left the OHA O‘ahu Trustee blank and 13,130 voters left the Maui Resident Trustee blank. For the Maui Mayor race, 1,302 voters left that race blank while 1,177 voters left the Governor’s race blank. There were 1,483 blank votes for the U.S. Senate race and 2,004 blank votes for the U.S. Congressional District II race. In the state legislative races, 1,381 voters left the Baker-Shishido race for State Senate blank while only 397 voters left the McKelvey-Marten-Mather State House race blank and 698 voters left the DeCoite-Nikhilananda State House race blank. But for the Maui County council races, thousands of voters did not vote. – Lee over Atay (Wailuku-Waihee-Waikapu) – 5,559 blank votes in a race decided by 2,431 votes. – Kama over Arakawa (Kahului) – 4,408 blank votes in a race decided by 10,874 votes. The large number of blank votes in Council races persisted despite a campaign by both establishment candidate supporters and the #Huli2018 coalition to inform and urge people to vote all nine of the respective council slates. Voters, however, continued to leave certain races blank. Wailuku and Kahului voters, for example, tallied the largest number of blank votes in the Molokai, Lāna‘i, West Maui and South Maui races while South Maui recorded over a thousand blank votes in each of eight council districts and 939 in their own region. On the Ballot questions, money was certainly political speech. Given the advertising dollars against both the State Constitutional Convention and the Investment Property Tax Surcharge for Education Constitutional Amendment, the rejection of both proposals was not unexpected. Although the Hawai‘i Supreme Court ruled against including the Education Con Am, the results were still tallied with Maui County rejecting the question. Two of the three Maui Charter proposals passed—voters rejected having claims filed with the Corporation Counsel rather than the County Clerk, 21,880–19,559 but approved higher penalties for illegal rentals, 26,045–19,048, and expanded use of the Open Space Fund, 30,389–14,456. In short, not voting is effectively also voting to give those who do cast ballots more influence over the results. Or if you prefer a more local approach: If you neva’ vote, no can dat one! 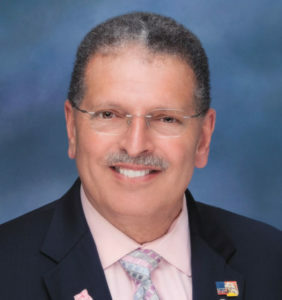 Gilbert S.C. Keith-Agaran represents Central Maui in the Hawai‘i State Senate. He is currently in the middle of his four-year term and did not appear on the ballot this year. Alfredo G. Evangelista majored in Political Science at the University of Southern California (B.A. 1980) and received his Juris Doctor in 1983 from the UCLA School of Law. He is licensed to practice in all the state and federal courts in the State of Hawai‘i (1983), the Supreme Court of the United States (1989), and the Ninth Circuit Court of Appeals (1990).